Two weeks ago my little man started nursery and every day since has been an adventure but last week we had an extra special little adventure thanks to our new friend Barny. Barny comes in two delicious fun flavours - Milk or Chocolate. 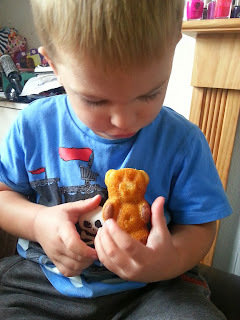 They are cute individually wrapped bear-shaped sponges that hide a yummy filling that your kids will love. 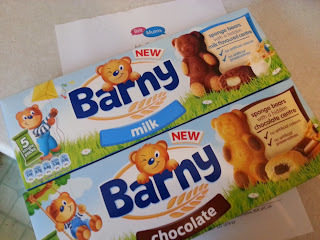 One day last week, I gave my little man Ryan his very first Barny treat just before it was time for nursery. It was the perfect sized treat to fill his little tummy before we set off for our next adventure. Of course Ryan had already eaten his proper lunch but this was his little pudding treat. This was Ryan meeting his new friend, what do you think they were saying? 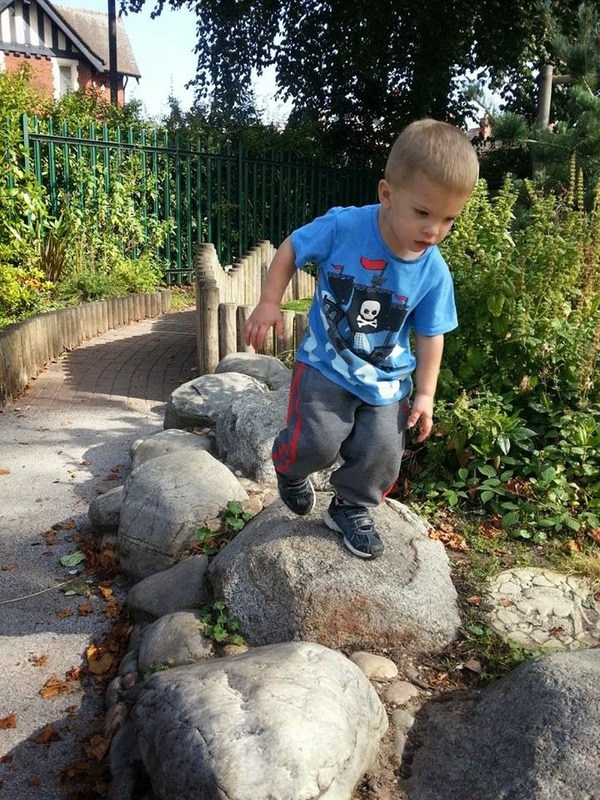 With Barny safely inside Ryan's tum off we walked to nursery. Ryan's nursery has a wonderful garden full of adventures just waiting to happen. Little did we know, we were about to have a magical stoney adventure ourselves. Ryan found a large stoney path made from GIANT rocky boulders, that looked like fun! All the best journey's begin with a sit down, a little time to take in the sites and savour the moment. Then comes the big climb or in Ryan's case, the big run. Just look at the determination on his little face. He's a very good runner and climber, look at him go. 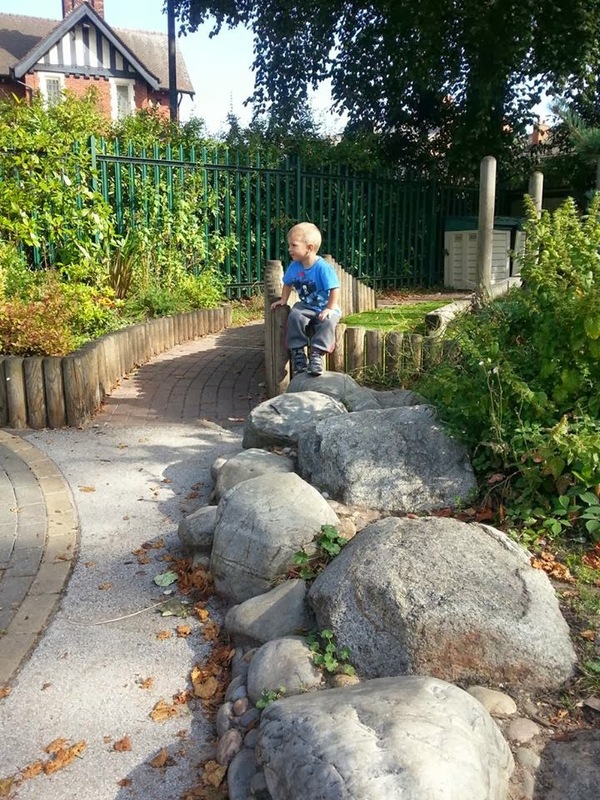 Whilst he was running he spotted some special stones in the distance and they had fossils in them. 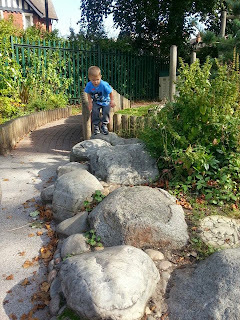 Ryan found a squirrel, an owl and even a dinosaur which was his favourite of course. 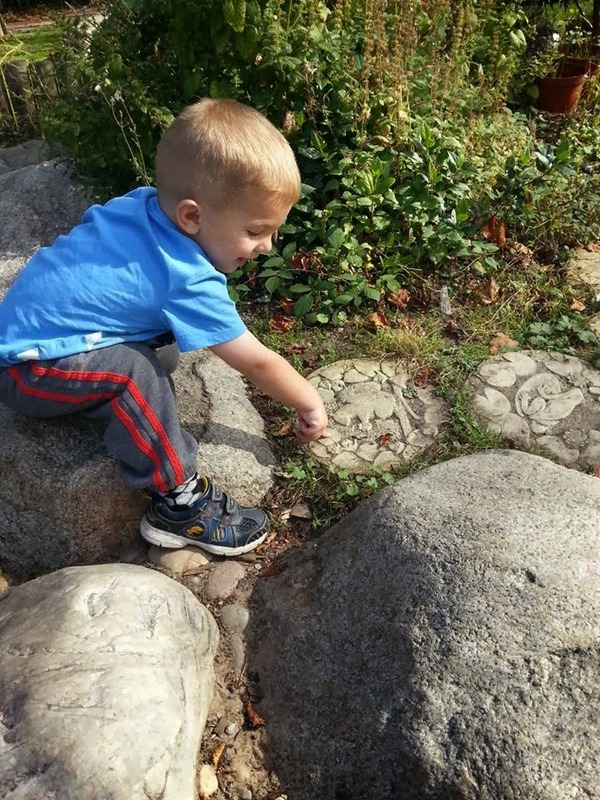 He stopped for a few moments to check them out, it was hard work being an explorer today. So hard in fact that this particular little adventure ended up like this. Ryan needed a little lie down on mummies lap, bless him. 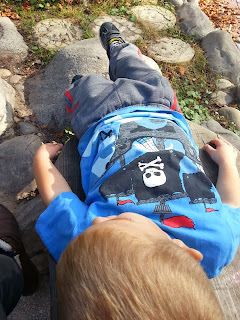 Climbing stones and exploring fossils is hard work, it was a good job Barny had filled Ryan's tum or we might have not made it to the end at all. what a great idea by somebody, I am sure many many children will get pleasure from these. Bob would love the dinosaur one.